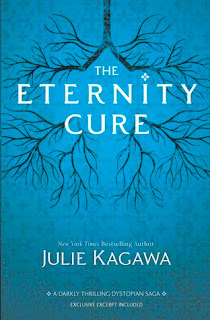 I wasn't quite sure just what I was getting into when I picked up THE ETERNITY CURE because it was the second book in the series. All to often lately I have been finding that series books just aren't robust enough to stand on their own merits. Happily THE ETERNITY CURE is not one of those. I would pick up bits and pieces of what occurred in the first book but I didn't feel lost because I hadn't read it. Kudos for Ms. Kagawa for writing a wonderful book that stands on its own merits. I feel in love with the main character Allie. She is a vampire who is determined not to be a monster. When she feeds, Allie intentionally looks for the dregs of society: the murders, the rapists and the thieves. She is also loyal to her sire and is determined to rescue him. Allie is far from a stagnant character as she questions her humanity and grows as she discovers new answers. And she is far from the only character that stands out. THE ETERNITY CURE is full of complex characters with their motivations. Some become allies, others seek to stop Allie on her quest. I am going to let you read the book to become introduced to them. 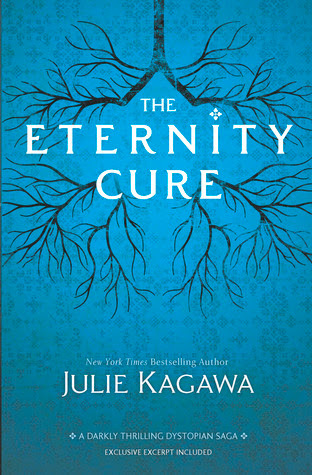 I do recommend THE ETERNITY CURE to my readers who enjoy the paranormal with touches of romance. For myself, I will be keeping an eye out for the next book in this intriguing series. THE ETERNITY CURE What Can You Do WIthout Hope?